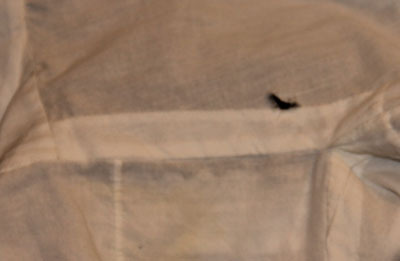 The last time I wore my favorite chemise, I noticed yet another tiny rip. So after washing it, I hung it up to remind myself to mend it. That was in early September. Yesterday morning, right before I needed to wear it again, I finally got around to fixing the hole. This one was too small to bother patching, so I decided to try my hand at darning. Lacking proper darning thread, and working against the clock, I did it rather sloppily. 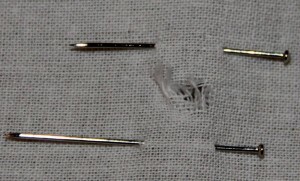 It’s also really hard to see when you’re weaving thread over other thread! 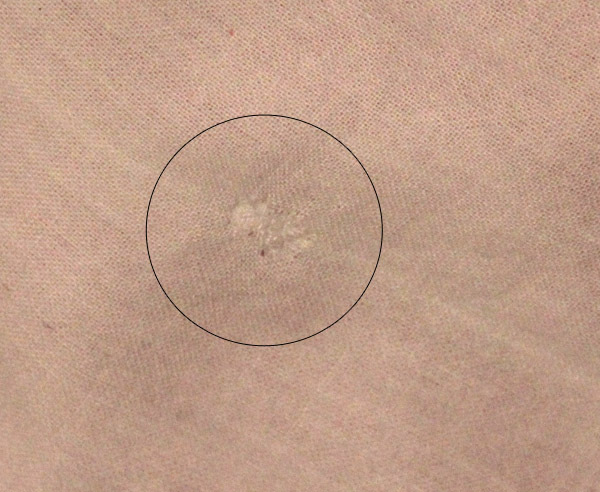 It may not be pretty, but it’s barely noticeable when it isn’t magnified. And it certainly does the trick! 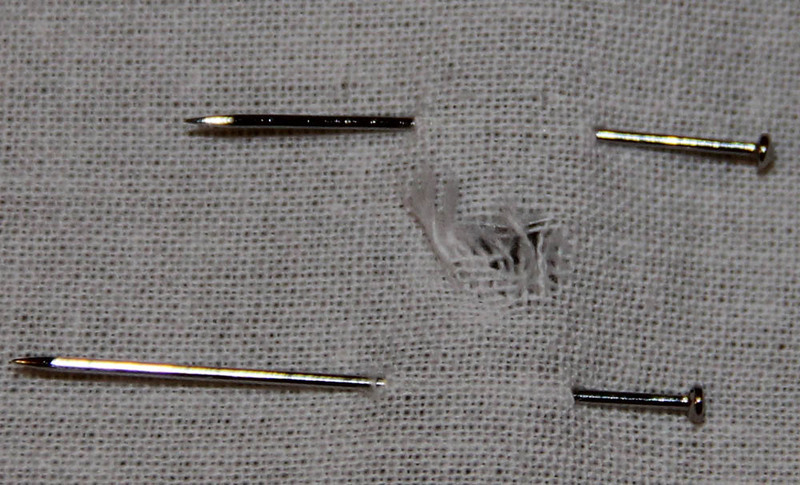 I need to learn more about darning — and of course, practice, practice, practice.